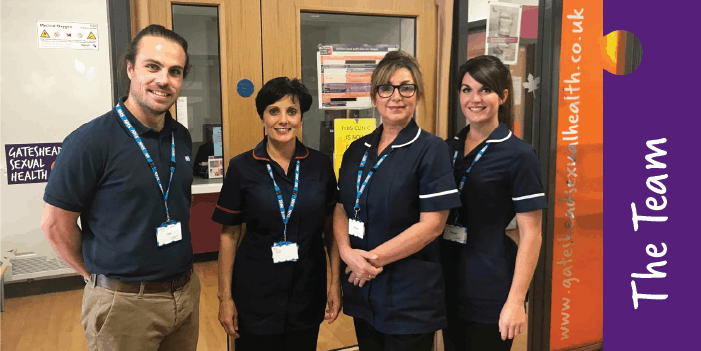 The team providing this service is varied and includes: Admin/Receptionists, Doctors, Nurses, Sexual Health Advisors and Healthcare Assistants. All of the admin, healthcare assistants and nurses are female, with both female and male staff who part of the Sexual Health Advising team. We have a female doctor who sees people requiring contraception and sexual infection appointments. We have a male Sexual Health Consultant who sees people who require a specialist opinion or treatment. We are a training organisation so we do have student nurses/doctors in our clinics – you will be asked if you are happy to have the student involved in your consultation. Most of the services are delivered in the clinics, which are offered across Gateshead: click here for the current timetable. You can get the tablet version of emergency contraception from all of our clinics but also from many Pharmacies across Gateshead – see list. If your choice is to use the coil method, it is essential that you attend a sexual health clinic for an assessment and appointment to have the device inserted as soon as possible.